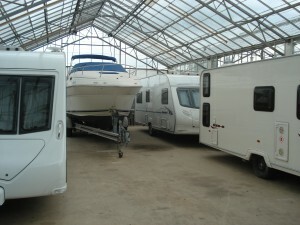 If you are considering storing a vehicle which YOU value, and also want to know its securely kept under lock & key, in a clean dry environment, but you don’t want any unexpected shocks to your wallet, in fact all you want is peace of mind, then look no further, you have found the place right here on the internet!!!! If its a Trailer tent, Car, Caravan, Boat, Motorhome, Camper, Lorry, in fact just about anything (sorry, a Jumbo Jet is a little too big), we can probably store it inside our facility. You are more than welcome to come to speak to us or contact us by phone or e-mail to discuss if we can assist you.